Does anyone get taught how to eat a KitKat? I certainly can’t remember the first time I had one but I imagine, as I was handed the chocolatey treat, I instinctively snapped a finger off the bar and chowed down. Some things just come naturally to a lot of people, without them having to be taught the ‘proper’ way of doing something. On the other hand, it’s the people who think outside the box who can make things way more interesting. Finding a new way of breaking convention and doing something outside the norm can lead to great innovations in life. Whether this is one of those innovations is yet to be seen, but it’s definitely thinking outside the box. 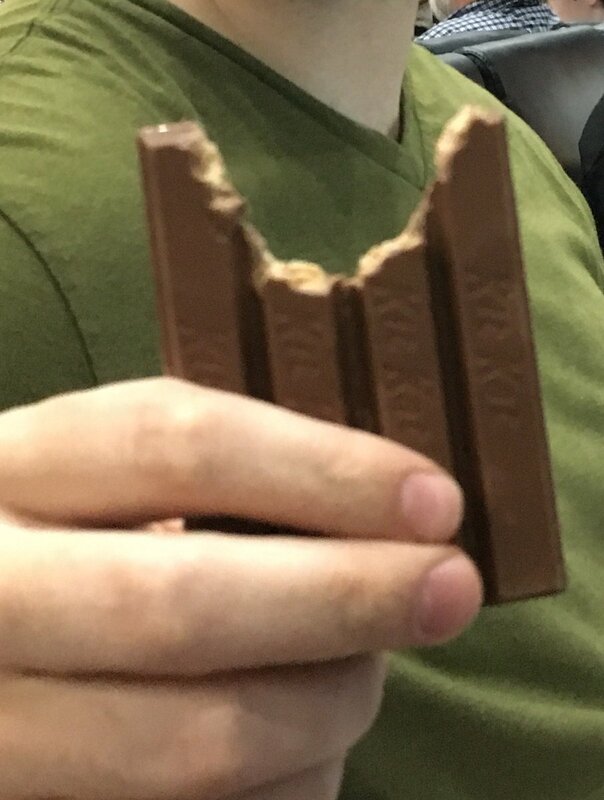 Posting on Twitter recently, Haley Byrd uploaded a photo of her boyfriend, Evan, eating a four-fingered KitKat for the first time, the lucky devil. Naturally, the internet responded accordingly. Legitimate grounds to break up with someone. What kinda monster does this ? I know someone who does this. Reader, I married him. We don’t talk about it. He eats his Kit Kats away from home. While this method of consumption may be unorthodox to say the least, is it really enough to ruin a relationship over? I say the world needs brave souls like Evan who think differently, who dare to break the rules and, ultimately, eat more chocolate in a more efficient manner. The good news is, Haley is not the type of shallow person to dump a boyfriend for the way he eats a KitKat. Internet – I appreciate your feedback. But KitKat crime aside, @EvanWilt_ is a keeper. 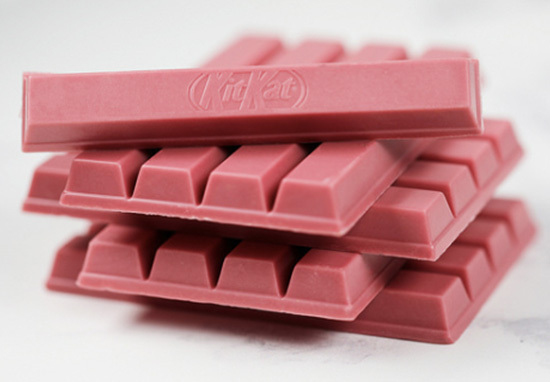 Earlier this year, KitKat also broke with convention as they unveiled their new Ruby chocolate KitKats. 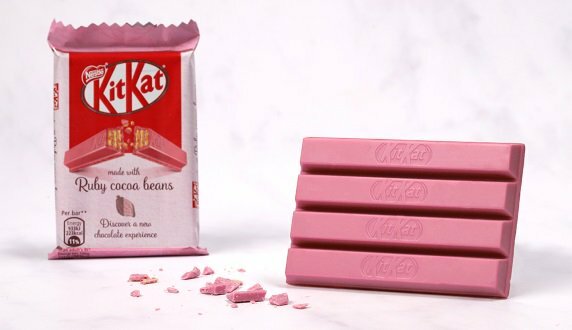 The chocolate is naturally pink, and was created by Barry Callebaut – one of the world’s largest cocoa manufacturers – last year, after years of research. What we do know is Ruby chocolate is made from specially selected cocoa beans. These beans have been called Ruby beans by Barry Callebaut. The beans go through a unique process to unlock the flavour and colour tone naturally present. No matter how you eat it, breaking off the fingers or chomping into it all at once, we’re all chocolate-lovers at the end of the day!